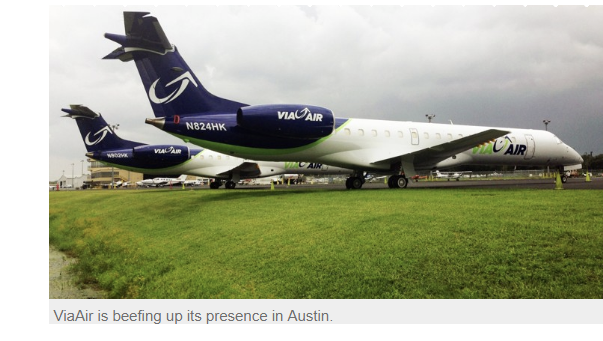 ​ AUSTIN – An airline you’ve probably never heard of has big plans for Austin in 2018. Florida-based ViaAir will begin nonstop service from Austin-Bergstrom International Airport to Oklahoma City, Okla., and Tucson, Ariz., on Jan. 18, 2018. The discount carrier already offers seasonal service from Austin to Branson, Mo., and Steamboat Springs, Colo., operating out of the airport’s South Terminal. Other carriers that operate out of the South Terminal, 10000 Logistics Lane, include Allegiant Air and Sun Country Airlines.